Laid-back luxurious haven stretching along 21 glorious miles of coastline. The sun-kissed haven of Malibu offers laid-back luxury and gorgeous beaches 30 miles to the west of downtown Los Angeles. With elegant oceanfront properties providing privacy and seclusion along its 21-mile stretch of glorious coastline, it’s easy to see why so many leading names from the entertainment industry choose to make Malibu their home. 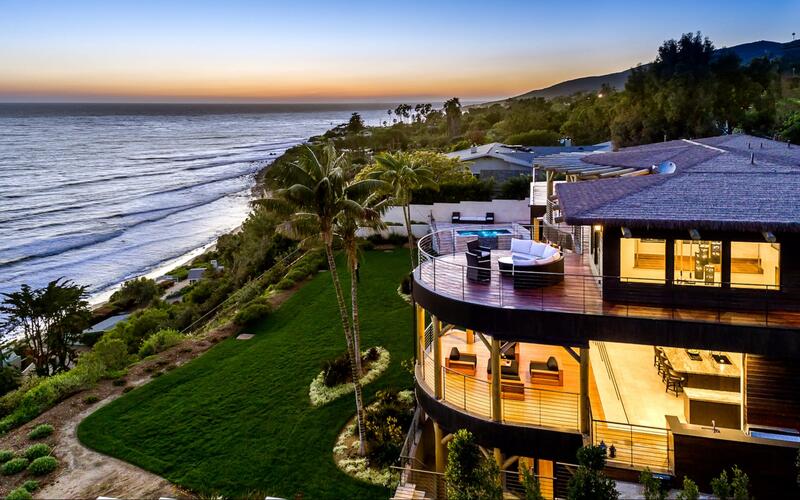 Malibu’s beautiful and secluded oceanfront properties offer stunning views across the Pacific Ocean and the Santa Monica Mountains. Many properties make the most of the gorgeous scenery with impressive floor-to-ceiling windows, while their unfussy and clean architecture is designed to complement the natural aesthetic of this beach community. Malibu is California’s most iconic beach town and one of the world’s most desirable locations. The median sales price of homes in Malibu was $1,855,000 over the past year, with the average price per square foot rising by 17% to $1,175. Malibu is renowned for its celebrity residents and a staggering amount of Hollywood’s biggest names have lived here at one time or another, including Jennifer Aniston, Halle Berry, James Cameron, Leonardo DiCaprio, Tom Hanks, Dustin Hoffman, Angelina Jolie, Jack Nicholson, Brad Pitt, Bruce Willis, and countless others, along with music industry figures ranging from legends such as Bob Dylan and Frank Sinatra to contemporary pop megastars Britney Spears, Lady Gaga, and Rihanna. 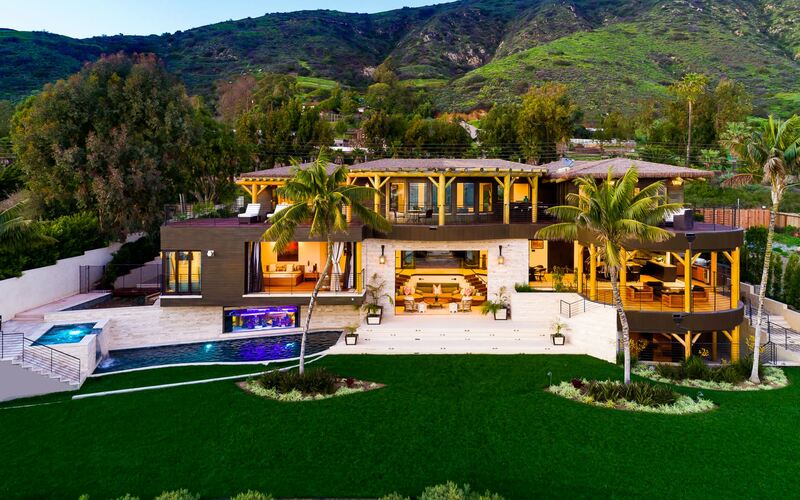 Celebrities flock to Malibu for the privacy of its grand oceanfront residences and its relaxed but luxurious small-town feel within close proximity to the entertainment industry epicenter of Los Angeles. Malibu’s greatest attraction are its beaches, with more than thirty located within town limits, ranging from the surfer’s paradise of Surfrider Beach to the dramatic cliff-front El Matador State Beach. There are numerous hidden beaches which allow for secluded oceanfront relaxation, with Malibu’s most sought-after properties being situated right beside pristine private stretches of sand. Away from the beach, the Santa Monica Mountains provide scenic hiking trails. Malibu also contains the upscale retail centers of the Malibu Lumber Yard and the Malibu Country Mart, as well as fabulous restaurants, such as Iron Chef Nobu Matsuhisa’s world renown restaurant Nobu Malibu, which offers a plethora of freshly-caught seafood and exquisite signature dishes such as Tiradito, Yellowtail Sashimi with Jalapeno and Black Cod Miso.